As Team Canada steps onto home field in late June to compete at the 2017 International Federation of American Football (IFAF) Women’s World Championships, history has been already made off the field. With Saadia Ashraf’s appointment as the team’s quarterbacks coach, she is the first women’s national team program alumni to join the coaching staff in a full capacity. Ashraf follows in the footsteps of Tannis Wilson who served as the national team’s defensive line coach at the inaugural Women’s World Championship in 2010. Pioneering a path for women to enter the national team coaching ranks, Ashraf is humbled but appreciative of achieving this major feat in her career. Ashraf comes with a wealth of experience to the position. Her first experience with the sport was with touch football during her high school and CEGEP years. In 2000, the quarterback legend was introduced to the Women’s Professional Football League (WPFL). 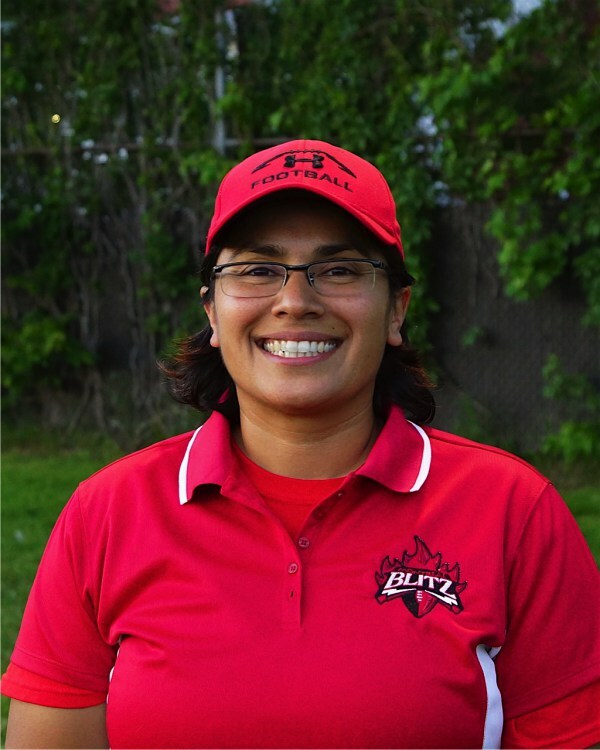 After her introduction to the game, Ashraf never looked back, joining the Montreal Blitz in the early 2000’s. She led the Blitz to three Independent Women’s Football League (IWFL) Championships (2008, 2010 and 2012). Between the 2010-2012 seasons, Ashraf steered the Blitz to consecutive undefeated seasons. Overall, she helped the Blitz achieve a 36-4 winning record from 2008-2012. Moreover, the quarterback great led Team Quebec to gold (2012) and silver (2013) medals at the Canadian Women’s National Championships. 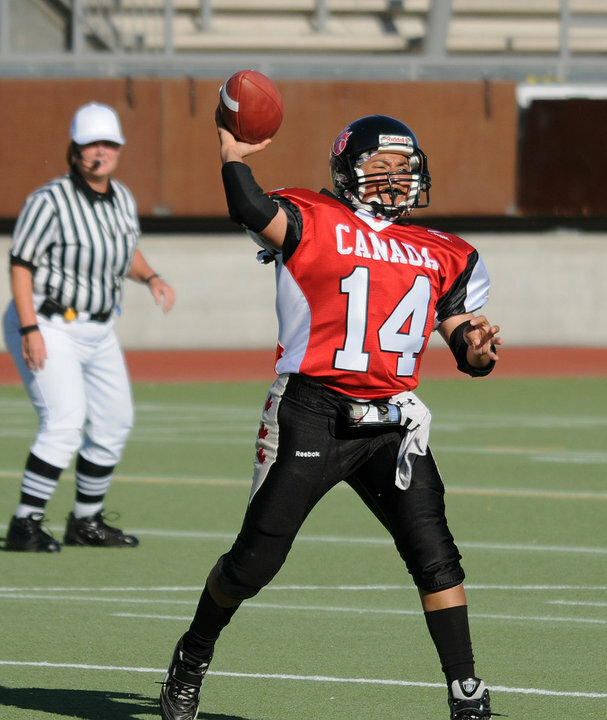 Ashraf also guided Team Canada to a pair of silver medals (2010, 2013) at the first two IFAF Women’s World Championships. In 2015, Ashraf made the transition from a starting pivot to a coach with the Blitz. Currently, she serves as an offensive coach as well as Team President. The national team is excited to see its first alumna make the transition from player to coach. Yausie brought Ashraf onboard based on the unique qualities she possesses as well as the impact she will have on the host nation’s players. As a female coach, Ashraf understands the challenges female players face. “Women have a bit of a disadvantage … because they usually start (playing) later and I think sometimes coaches don’t understand that,” she explained. For the most part, female players are coached by males with playing and coaching experience including minor, high school, junior or university and sometimes even professional experience. “I think something they forget as coaches sometimes is that (female players) often haven’t played as long as them. We haven’t been exposed as long as they have at that level,” she explained. Even though she has over 20 years of experience coaching flag football, there are times Ashraf questions if she’s taken seriously coaching tackle football. However, confidence has been her guiding force to success. Considered a pioneer, builder and role model, Ashraf is humbled by the praise. However, she is motivated and determined to aim even higher when it comes to reaching her goals. With her new role, Ashraf hopes to pave the way for more women to take the leap into the coaching ranks. When Canada opens the tournament on June 24, the host nation will face tournament newcomer Australia — led by Dr. Jen Welter, another pioneer of female coaching with tournament playing experience. The pair will help inspire and pave the way for future female coaches.